Looking to do home or garden improvements or outdoor ideas?Share this event to for a chance to win a $25 home depot gift card! 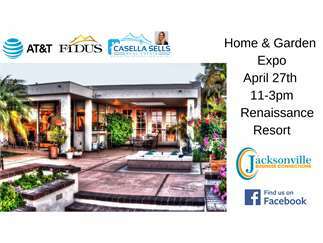 !Jacksonville Business Connections invites you to our Home & Garden Expo featuring 70+ vendors at the Renaissance World Golf Village Resort April 27th from 11am-3pm. Come Check out new products and speak to local experts!Featuring over 50 Vendors Free to the public. Indoor event.First 50 guests receive FREE Swag bags See new products & meet local experts.